York Harbor, Maine-On April 3, 2019 Adelaide Meskill, wife, mother, grandmother and great grandmother passed away at the age of 100 years. Adelaide lived in Sentry Hill at York Harbor, Maine for the past 16 years. She and her husband, David T Meskill moved to York Harbor after 45 years in Wilmette, Illinois to be closer to family and their cottage on Long Sands beach in York Beach, Maine. Adelaide was born in Boston, Massachusetts on January 3, 1919. She lived and attended school in Boston but frequently spent time in Weymouth, Nova Scotia where her father had a dental practice. Adelaide was a graduate of Forsythe Institute as a Dental Hygienist. Adelaide was a strong partner in a loving marriage to “Dave,” her husband for more than 60 years. She and Dave were married in an early morning ceremony on October 17, 1942 at Holy Name Church in West Roxbury, Massachusetts. Immediately after the ceremony, Dave returned to training as a Supply Officer in the U. S. Naval Reserve. During WWII, Adelaide and Dave spent time in California. Upon hearing about their rushed wedding, a local resident lent them their family cabin in Russian River for their honeymoon, a gesture they never forgot. Adelaide and Dave loved to dance and to travel throughout the world for business and for personal adventures. Their children would warn friends, “if you invite our parents to visit anywhere in the world, be warned, they will show up!” And they did! In 1957, they moved to Wilmette, Illinois where they attended St. Francis Xavier Parish and sent their children to the Parish school. Adelaide and Dave spent many hours raising their five children, attending graduations, watching sport contests, and filming numerous First Communions and May Processions. They also helped form a popular “Ten o’clock Gym Mass” at St Francis which continues to this day. Adelaide and Dave were active in community organizations including the Village of Wilmette Ecumenical Council of several churches and synagogues. They were enthusiastic participants in the Christian Family Movement. Everyone Adelaide met was welcomed with open arms and an offer of friendship that has resulted in countless people who call her their friend. Adelaide was a woman of little fuss and no bother but an incomparable hostess of large gatherings of family and friends. She was dedicated to generations of her growing family. 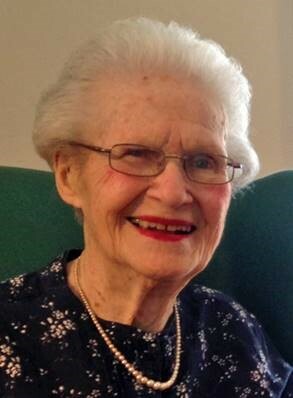 She enjoyed playing games with her children and grandchildren, reading all types of books especially a new mystery novel and going to the theatre. All who knew her always remembered where she grew up because she never lost her Boston accent. Adelaide is survived by her five children: Katie, Washington D.C., Tim (Joan Murphy), Seattle, Susan (John Foote), Windsor, Connecticut, Patty (Chris Marston), West Roxbury, Massachusetts, Maureen (John O’Donnell), York, Maine. Loved by her grandchildren, Jenny (Craig), Maureen, James (Elizabeth), Brian (Erin), Maggie, Emily, Seth (Sophia), Nelle (Chris) and step grandchildren Marcia and Tammy (Jason). Treasured by her great grandchildren, Josie, Brendan, William, Kamryn, Avery, Calvin, Otto, Amelia, Flynn, and step great grandchildren Noah and Evan. A calling hour will take place on Tuesday, April 9th from 9:30-10:30am in the Lucas & Eaton Funeral Home, 91 Long Sands Road, York, Maine with a funeral Mass to be celebrated in St. Christopher's Church, 4 Barrell Ln, York, Maine at 11am and burial to follow in New Town Cemetery, Rollinsford, NH.